ProSource® of Orlando is dedicated to helping trade professionals and their homeowner clients remodel their bathrooms. We love to partner from the beginning design stages through purchasing the final product for the project. 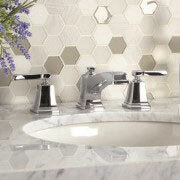 Our goal is to help pros find the best bathroom features, fixtures, and other products at low wholesale prices. Working with ProSource makes bathroom remodel projects surprisingly fun and stress-free for the homeowner clients, which is always a bonus. 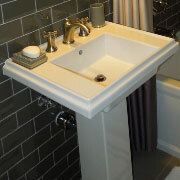 The bathroom sink is a fun place to start with bathroom remodel projects. From pedestal sinks that stand alone to beautiful pieces of art in a bowl on a vanity, the sink is a frequently used piece of the bathroom that can become a statement piece. Bathroom faucets make that sink you just found workable. The sink faucets in our collection come in a wide variety of shapes, sizes, colors, and styles to meet homeowner expectations and ideas. The shower is a luxurious upgrade to the bathroom. Even if you don’t elect multiple shower heads and stone walls, a new shower creates an updated oasis within the house. ProSource can help facilitate all aspects of shower remodel projects, including all accessories and hardware. The bathroom vanity, like the sink, can truly pull a project together. 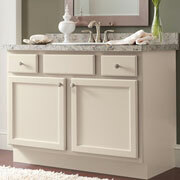 More than just a mirror, the bathroom vanity can be a secret supply of storage and a focal point for the entire space. The bathtub is a fun product to explore because of the wide variety of products. 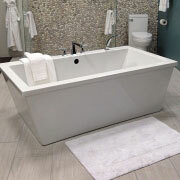 From freestanding to alcove tubs that fit between three snug walls and even the luxurious corner jet tubs, the bathtub is a place to relax and enjoy some sweet serenity. 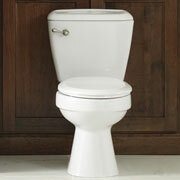 A toilet upgrade is often the piece that starts an entire remodel project. Toilets get so much use that the new one should be reliable for years and in line with the style and décor of the rest of the space. Browse for toilets by flush rating, bowl size, and other accessories to find the right one for your project. We proudly serve Orlando, Altamonte Springs, Kissimmee, Winter Garden, and Clermont, Florida, and surrounding communities. The ProSource of Orlando showroom is conveniently located in Orlando, Florida and serves all of the neighboring cities including Altamonte Springs, Apopka, Casselberry, Christmas, Clarcona, Clermont, Eustis, Geneva, Goldenrod, Gotha, Intercession City, Kenansville, Killarney, Kissimmee, Lake Mary, Lake Monroe, Longwood, Maitland, Mid Florida, Mount Dora, Oakland, Ocoee, Orlando, Oviedo, Plymouth, Saint Cloud, Sanford, Tangerine, Windermere, Winter Garden, Winter Park, Winter Springs and Zellwood.